The top golfers on the PGA Tour head to California for the fourth time in five events this week. This time, Riviera Country Club in Los Angeles will host the 2019 Genesis Open, which gets underway on Thursday. We already know the 2019 Genesis Open featured groups, as Tiger Woods, Rory McIlroy, and Justin Thomas will all tee it up together, as will Xander Schauffele, Jordan Spieth, and Pebble Beach Pro-Am champion Phil Mickelson. Dustin Johnson, who won this event in 2017 and will play alongside Cameron Champ and Bubba Watson, is the favorite in the live 2019 Genesis Open odds at 8-1. But a loaded 2019 Genesis Open field that includes big names like Thomas (11-1), McIlroy (12-1) and Jon Rahm (12-1) are not far behind. Before locking in any 2019 Genesis Open picks of your own or trying your hand at a PGA DFS tournament on sites like FanDuel and DraftKings, be sure to see the latest PGA predictions from the team at SportsLine. 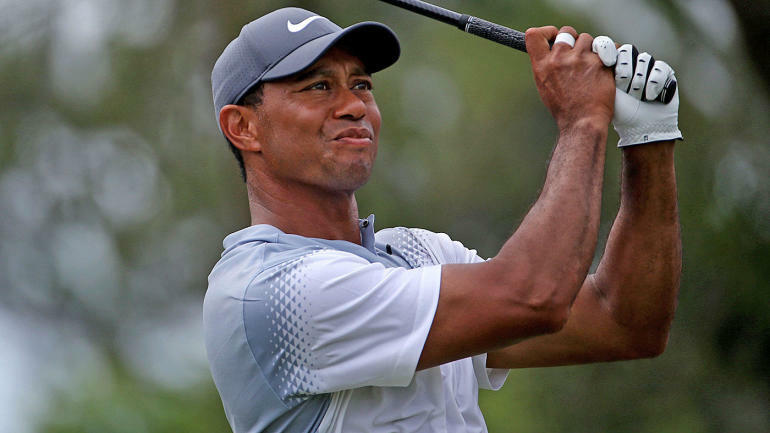 SportsLine’s prediction model, which was built by DFS pro Mike McClure, has nailed four of the past eight majors entering the weekend and called Tiger Woods’ deep run in the PGA Championship despite being a 25-1 long shot. The model has been spot-on early in the 2018-19 season. It was high on champion Rickie Fowler at the 2019 Phoenix Open, projecting him as one of the top six contenders from the start. It also correctly predicted Brooks Koepka’s (9-1) victory at the CJ Cup earlier this season. Additionally, it correctly called Bryson DeChambeau’s (9-1) seven-shot victory at the 2019 Omega Dubai Desert Classic. Anyone who has followed the model is up huge. Now that the 2019 Genesis Open field is locked, SportsLine simulated the event 10,000 times, and the results were surprising. One huge shocker the model is calling for: Woods, a 14-time major champion and one of the top Vegas favorites, doesn’t even crack the top 10. Woods is making just his second start of 2019 and has struggled mightily at Riviera throughout his career. In fact, Riviera Country Club is the only PGA Tour venue he has played more than four times in his professional career without a victory. Last season, he returned to Riviera for the first time in 11 years, only to miss the cut after shooting 6 over par in his first two rounds. There are far better values to be had in this loaded Genesis Open 2019 lineup. Another surprise: Tony Finau, a 28-1 long shot, makes a strong run at the title. He has a much better chance to win it all than his odds imply, so he’s a target for anyone looking for a huge payday. Finau will look to bounce back this week after a disappointing 38th place finish at the Pebble Beach Pro-Am. Despite last week’s result, Finau enters the Genesis Open 2019 having finished ins the top 20 in three of his last six official starts on the PGA Tour. Finau averages over 310 yards per drive, which ranks 10th on the PGA Tour. His ability to sling the ball deep into the fairway allows him to use his short irons to approach the green. That lethal combination has allowed Finau to climb into the top 10 in scoring average (69.810) this season. Finau is also 25th in birdie average (102 birdies in 22 rounds) and has an Official World Golf Ranking of 12. He can move up the 2019 Genesis Open leaderboard in a hurry and should be on your radar starting Thursday. Also, the model says four other golfers with 2019 Genesis Open odds of 20-1 or longer make a strong run at the title. Anyone who backs these underdogs could hit it big. So who wins the 2019 Genesis Open? And which long shots stun the golfing world? Check out the odds below and visit SportsLine now to see the full 2019 Genesis Open projected leaderboard from the model that nailed the winners of four golf majors, and find out.